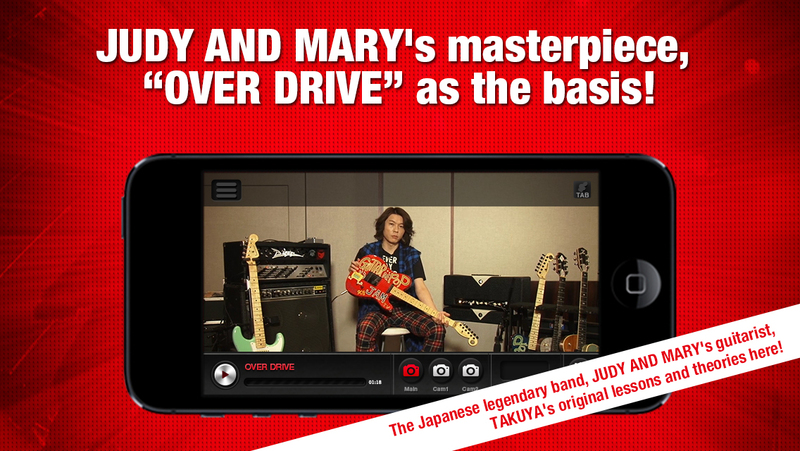 TAKUYA, the guitarist of ex JUDY AND MARY, produced the Guitar Lesson iPhone&iPad/Android app "Guitar de POP"
JUDY AND MARY's masterpiece, "OVER DRIVE" as the basis! "Guitar de POP" is a special and unique way to learn guitar. 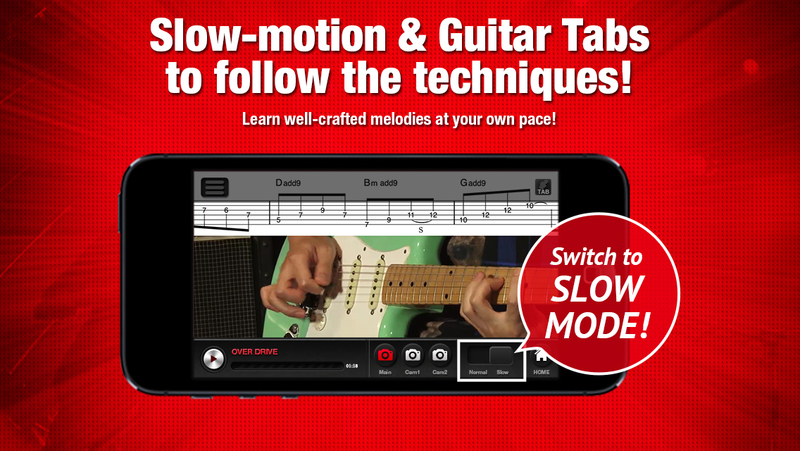 Learn to play guitar at your own pace with techniques and tips demonstrated in full-motion videos. *The videos only available in Japanese. Your teacher is Japanese professional guitarist TAKUYA. He was formerly the guitarist of JUDY AND MARY which sold millions copies. The band was known for their innovative punk, rock, and pop melding of noisy but melodic music in the 1990s. He currently works as a solo artist/producer and also has a project called "TAKUYA and the Cloud Collectors". He lets you see exactly how each music and song should be played. *Play the strings like a percussion instrument. *Learn TAKUYA's theory of picking and chord works. "OVER DRIVE" as the basis! *The real TAKUYA's sounds recorded only for "Guitar de POP". 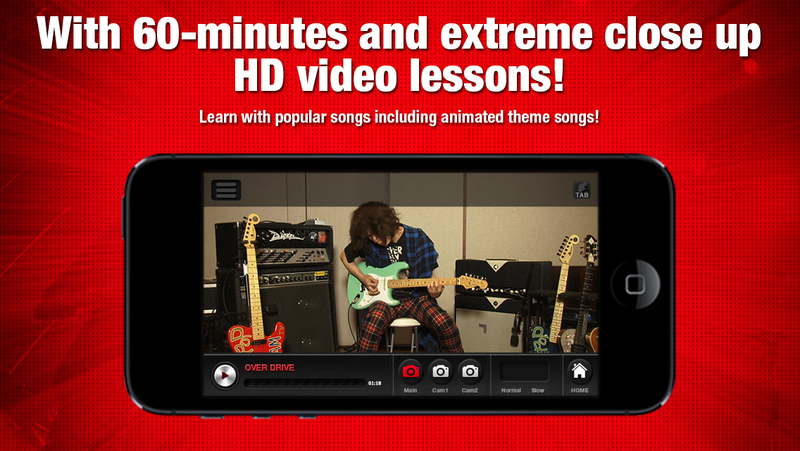 who listed in Guinness World Records "Largest Online Guitar Lesson". *The whole music and sounds can be quite faithfully recreated. used as the first opening theme for the popular anime TV series Rurouni Kenshin. 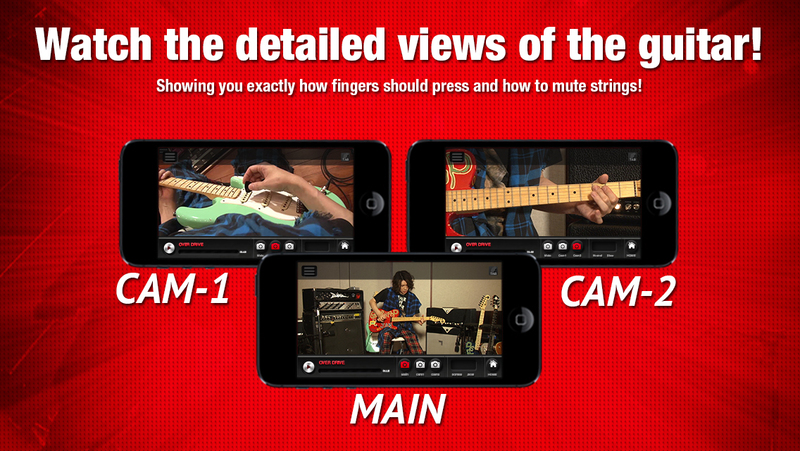 This app has also many tips that TAKUYA has found in his career and training methods on how to play the guitar! Get your copy now and be the next TAKUYA!! 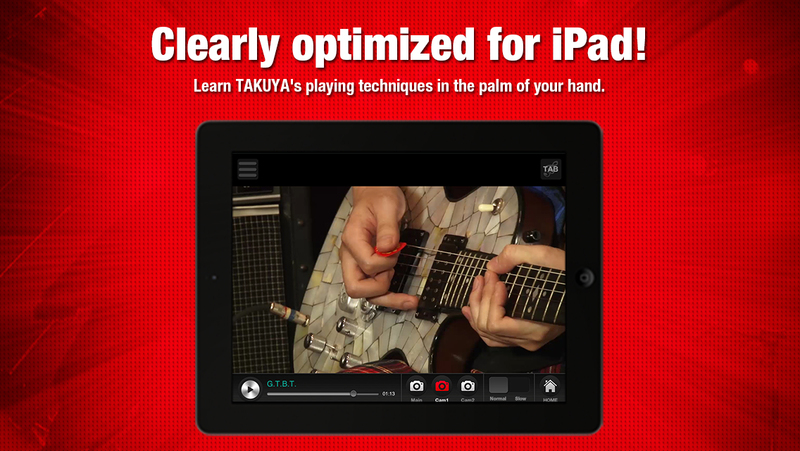 Before you begin the lesson, check out TAKUYA's demonstration! Phrase Performance of "LOVER SOUL"
phrase performance of "Issei No Sei"
Performance Lessons of "OVER DRIVE"
22 stunning photos such as behind the scenes, TAKUYA's guitar, effector, amplifiers, and the like! *The video files range from approximately 25MB to 176MB per lesson. Please check enough space on your cellphone to store the file before downloading. *You need to download the files in internet connected environment. When using a mobile data connection, telephone carrier charges shall apply. Please use according to your packet flat-rate plan or in a Wi-Fi environment. Please note that we may require some time to respond to certain inquiries and comments and, depending on the subject, we may not be able to answer all your questions.